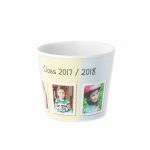 Kindergarten graduation gift idea for a teacher, daycare group or basic school. 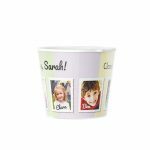 Personalised with 6 photos, names of the kids and a Thank You note from parents. 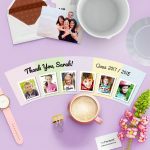 How about this one: Get 6 portraits of the kids, the whole group or different photos showing your son or daughter before and after their time in kindergarten. 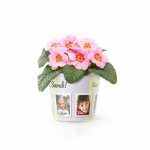 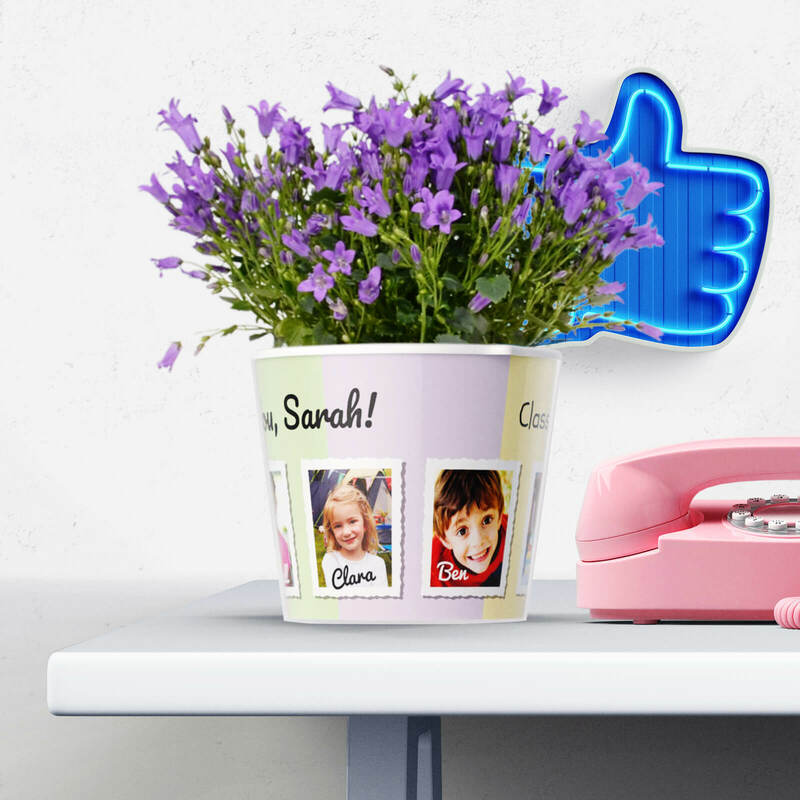 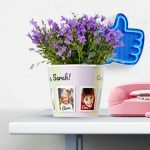 Afterwards get a Facepot decorative flower pot and you will see that it’s easy to create a present for daycare group or show your teacher who appreciates him or her most. The flower pot works best with midsized plants like Bluebells, some exotic plants like Hawaiian Ti (a plant with pink and green leaves), but also Lavender, and different cactus and succulents species. The photos can be uploaded with the love you put into it with our online designer. 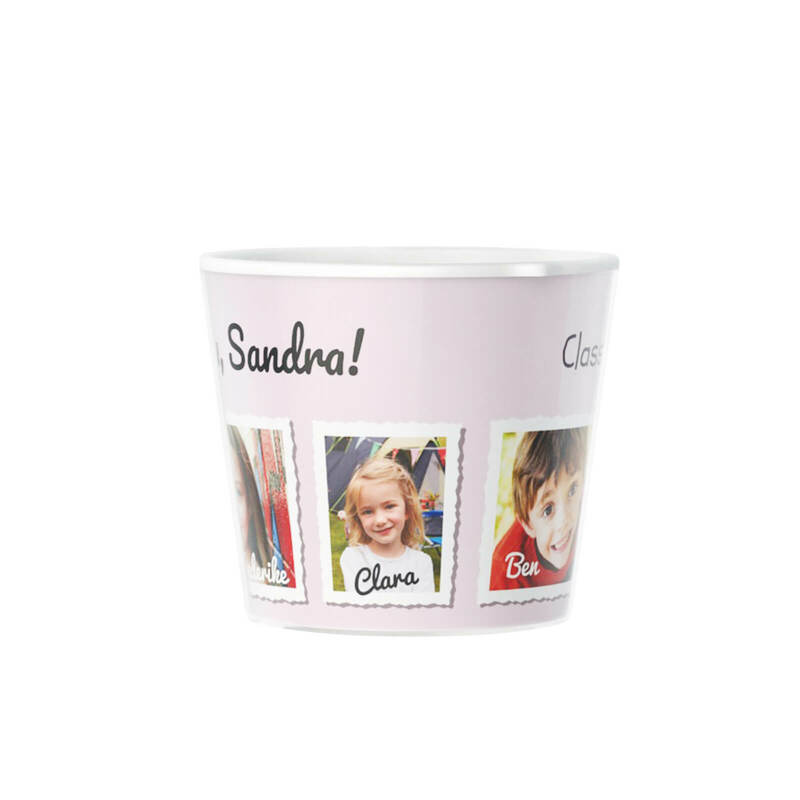 Probably only one last thing to add: Get one!